An unscheduled addition to the itinerary, the Cotahuasi Canyon did not disappoint. The only way that we could reach the canyon under our own steam was to take a ten hour overnight bus across the high plains to the town of Cotohuasi. We arrived an hour before sunrise and as dawn broke we walked across town towards our hotel, all the while under heavy mist and cloud. Cotahuasi itself is an unspoilt farming town at the heart of the canyon's agrarian economy. Despite it being low season for tourism, there was a healthy bustle about the place as we arrived in the middle of the harvest. Our hotel, Vallehermoso, was up a small laneway on the edge of town and was set around immaculate gardens. The best thing about travelling in this region during the wet and rainy summer is that avocados ripen right in front of your eyes. Cotahuasi sits on a spur above the main river gorge allowing for sweeping views east towards the town of Alca. After a relaxed breakfast among the avocado trees we headed to the main square for the 11am bus to Alca. The effects of the uncomfortable overnight bus ride were starting to kick in for both of us, but the weather was fine so we forced ourselves out the door. 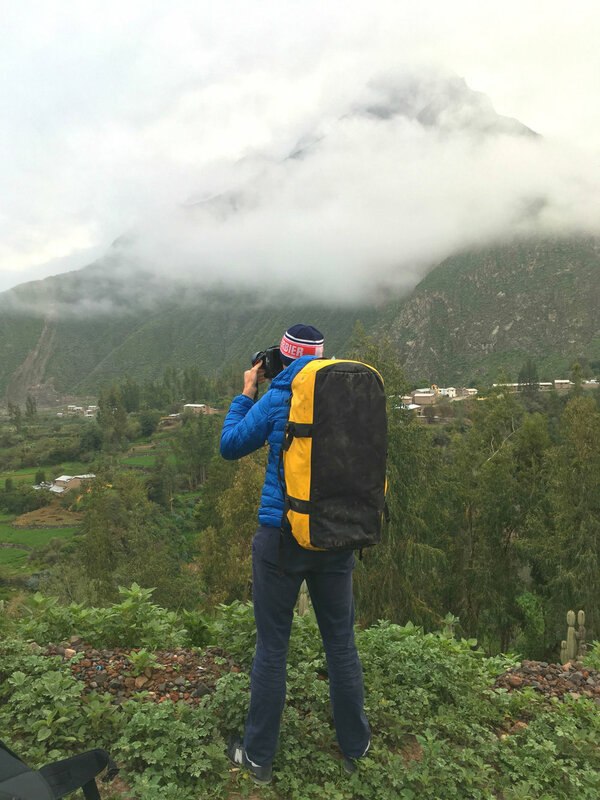 After arriving in Alca we took a track up to the village of Cahuana, 600m above the valley floor. 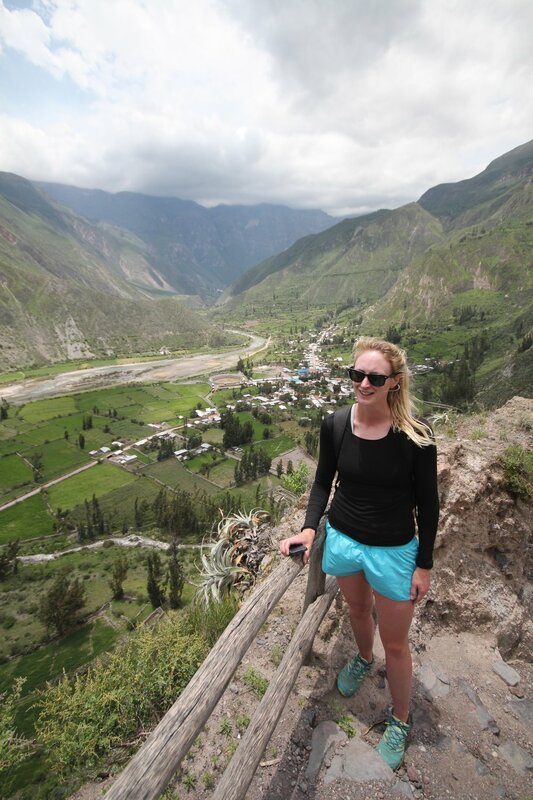 This area of the canyon feels smaller than what we saw at Colca, but it had a cosier, more pastoral feel as a result. We are due to visit some of the higher areas in days to come and were more than happy to enjoy an easy day in such a stunning location. As the path levelled out the terraces of Cahuana began, all looking healthy and happy. The corn in particular looked stunning considering that we are up at 3,000m here. The canyons create a unique microclimate that helps farming thrive despite the altitude. We decided to take the road back down into the valley to finish our walk at some thermal baths, but not before we were passed by a pickup posing as the local bus service. With one look at the road, we were happy to walk instead! After freshening up in the thermal baths we decamped to a local cafe for our first hit of Lomo Saltado, a kind of stir fried beef with onions, peppers and chips (and rice of course).. delicious. The days to come included some of the highest points in the canyon as well as the lowest, but our first day was a perfect introduction.